The Capitala World Tennis Championship returns to Abu Dhabi on Dece,ber 31st 2009 and the finishing touches have been made so the top players can have the best place to start the 2010 tennis season. The repaved court at the Abu Dhabi International Tennis Complex will host Roger Federer, Rafael Nadal, Nikolay Davydenko, Robin Soderling, David Ferrer and Stanislas Wawrinka for the first exhibition tournament of the year. Jo-Wilfriend Tsonga was on the field but he withdrew because he is not ready to start the 2010 season. The court is paved with Plexipave, the same surface used at the Australian Open, which will provide the players with the perfect build- up for the seasonâs first Grand Slam. The Tennis Village is gearing up to provide a host of entertainment for all the family, including a Speed Serve Challenge, Batak machine, player autograph signings, tennis clinics and some great give-aways. The village is open from 10:00am daily and free to non-ticket holders. Spectacular architectural masterpieces combined with Arabian elements dominate the city of Abu Dhabi and have turned it into one of the most modern metropolises in the world. However, one of the city’s buildings surpasses all others: the legendary Emirates Palace is truly an hotel of the superlative and has no less than seven stars. Reminiscent of the Thousand And One Nights, the hotel is a fusion of both contemporary and Arab-Islamic elements and the colours of the complex harmonise with the surroundings in all the shades of the Arabian desert. It is not difficult to understand how the Palace cost three billion dollars to build. Imported marble and numerous magnificent chandeliers of the finest Svarovski crystal create a luxurious and extravagant atmosphere. To top it all, a private butler is on hand for each guest and the bathrooms have taps of gold! The most expensive hotel in the world is more like a palace than an hotel. An extravagance of service, design and architecture. The Emirates Palace is surely an Arabian dream come true! A rising economic power, Abu Dhabi, the capital city of the United Arab Emirates, is poised to become a major player in the fortunes of both Third and First World countries. Abu Dhabi owns more than 8 percent of the world’s oil reserves, has close to one trillion dollars to invest in sovereign wealth funds, and is about to implement a masterful set of economic initiatives that will yield even greater returns. 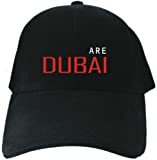 Abu Dhabi has begun to eclipse its partner city, Dubai, in terms of sheer wealth and cultural and infrastructural development, opening the world’s first Ferrari theme park and erecting satellite branches of the Guggenheim and the Louvre. Author of the best-selling Dubai: The Vulnerability of Success and an expert on Gulf politics, Christopher M. Davidson tracks Abu Dhabi’s remarkable growth from a modest, eighteenth-century sheikhdom to its present opulent state. He recounts the dramatic efforts made by the emirate’s dynastic family to retain their power, detailing the system of “tribal capitalism” they created in order to reconcile old political allegiances with modern engines of growth. Davidson concludes with potential challenges to Abu Dhabi’s political and economic success, including a weakening of civil society, invasive media censorship, an ongoing labor crisis, increasing federal unrest, and persistent underperformance in the education sector.